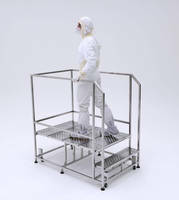 BioSafe Step-Stairs with work surface for tools. 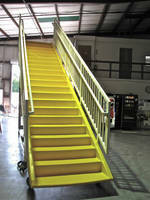 Self-Leveling Stairs help user safely access top of vehicles. 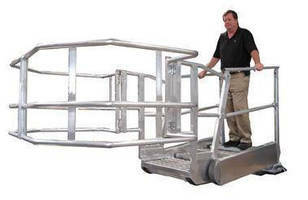 Safety Stairs facilitate loading/unloading processes. Do You Have Unique Lifting Needs? EZRig Cranes offers lifting solutions that are engineered for robust performance, providing the ultimate in portability. 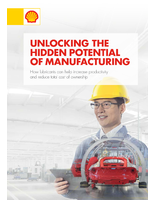 Designed for real-world lifting needs, our products are small and light with options and features that make them ideal for a broad range of applications. 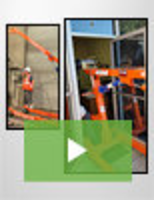 See our video to learn how an EZRig Crane can simplify your lifting requirements. Knock-Down Stairs feature modular design. 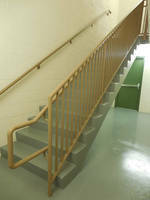 Structural Stairs meet code requirements.